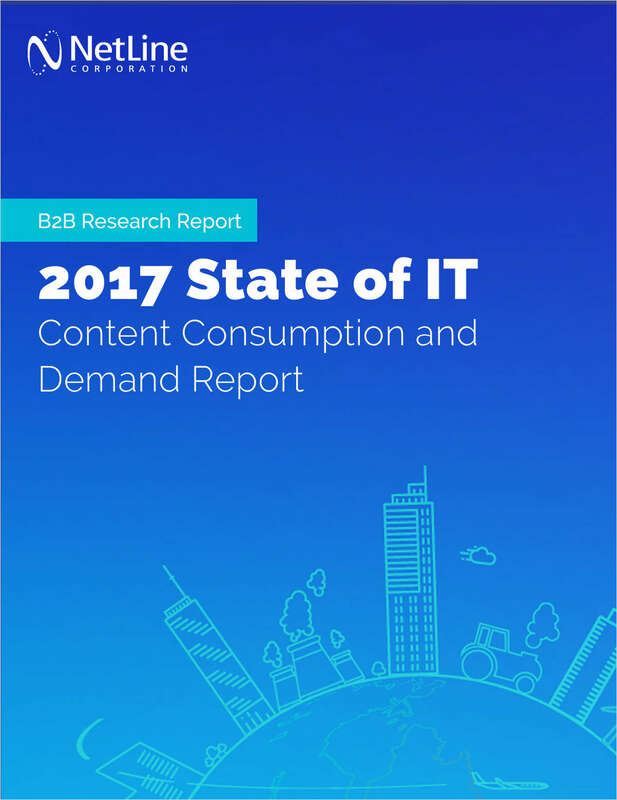 "2017 State of IT Content Consumption and Demand Report for IT Marketers"
Free Industry Report: "2017 State of IT Content Consumption and Demand Report for IT Marketers"
By submitting this content request, I have legitimate interest in the content and agree that NetLine Corporation, their partners, and the creators of any other content I have selected may contact me regarding news, products, and services that may be of interest to me. Do you currently have marketing content such as White Papers or eBooks? I would like to receive a demo on how to use content syndication to generate quality leads for my sales team.